At first, the VA refused to put in an occupied wheelchair lift for us, so we ended up buying a used one ourselves. 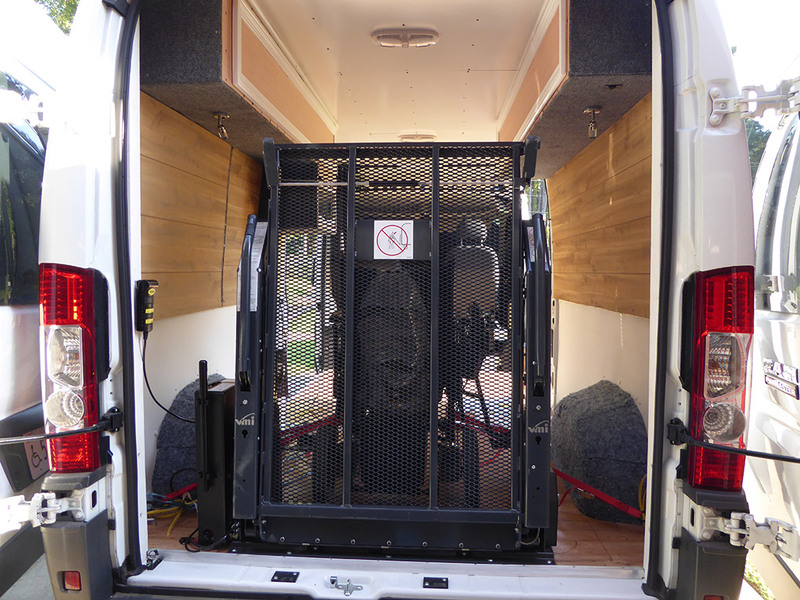 The VA was willing to install a small lift that picks up just the chair, but we didn't want to go that route. 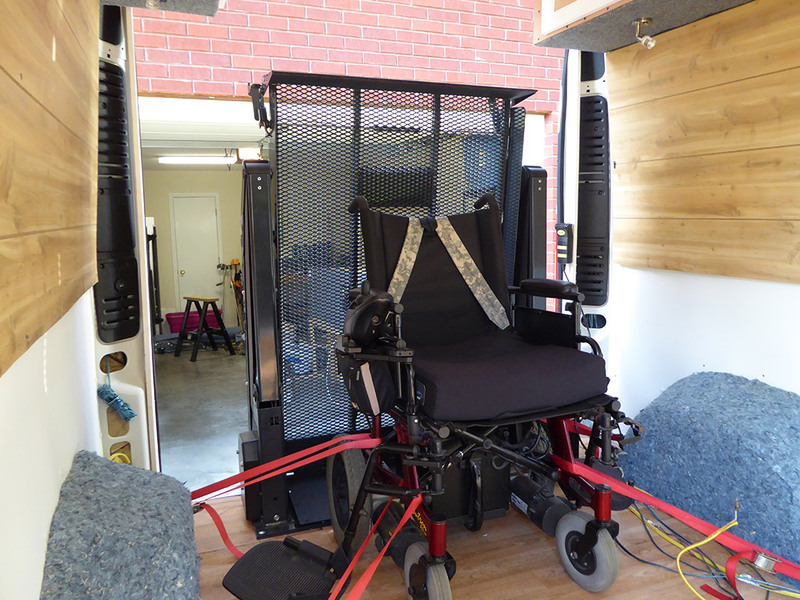 After almost a year, the VA decided they would pay for an occupied lift so we now have a new Ricon Reliant lift. We had it installed at the rear doors because there simply aren't very many parking spots wide enough to let the lift down out the side. Lesson learned. These are pictures of the lift installed. We will post new pictures once we get the new wall coverings up. The installation didn't include the tranmsission and parking brake sensors. We don't need them (we aren't dumb enough to try to operate the lift with the van moving). We did have to sign a waiver to protect the installer from potential legal issues.